The Scholarships offer the opportunity to study for a one-year Master's degree at any of the UK's leading universities, and are awarded to outstanding established or emerging leaders across a wide range of fields: including politics, government, business, the media, the environment, civil society, religion, and academia. Information & Research. Preference will be given to those that will be of immediate practical benefit to the community. The China Construction Bank will fund the China Construction Bank Postgraduate Finance Scholarship to encourage students with an excellent academic record to undertake postgraduate research in finance in the Faculty of Business, Economics and Law at Auckland University of Technology (AUT). Top Chinese students (who hold a Chinese passport) are encouraged to apply for PhD scholarships to undertake doctoral studies in New Zealand at Auckland University of Technology (AUT), Auckland or Otago Universities in the field of non-communicable diseases (NCDs, which are also known as major chronic diseases) under the CSC-NCD CRCC Joint Funding Programme. The main purpose of the Awards is to provide financial support to students enrolled in a Bachelor of Medicine and Bachelor of Surgery. 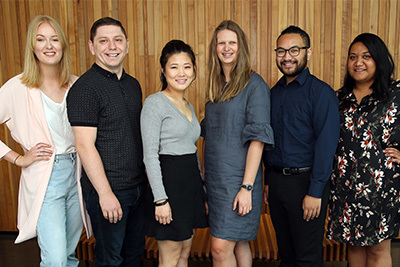 Claude McCarthy Fellowships are available and are aimed at encouraging and supporting doctoral candidates in additional and further study and research.